WhatsApp Messenger End-To-End Encryption Update Rolled Out! 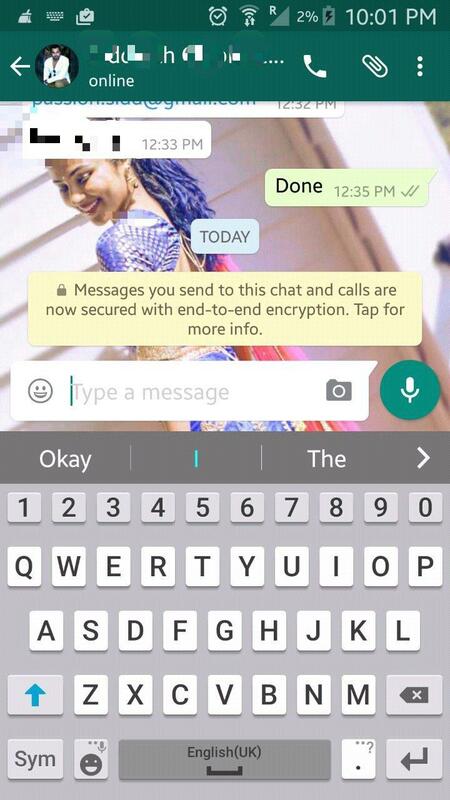 WhatsApp has rolled out an important update today. The new update deals with end-to-end encryption & this is released to safeguard the users privacy from cyber criminals, hackers etc. If you are using the latest WhatsApp Messenger v2.12.556 you don’t have to do anything as the end-to-end encryption is already switched on, but if you are using the old version, you need to update the application which can enable the encryption. We are all aware of the Apple-FBI issue which involves hacking & has been trending these days. 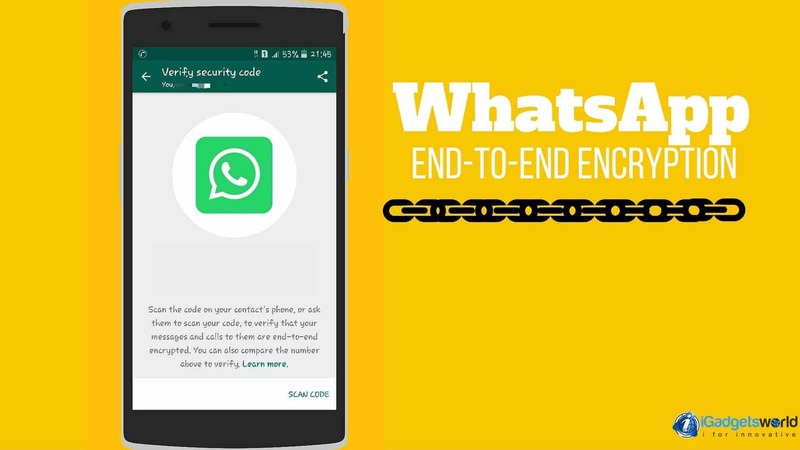 The same issue has been specified in the official WhatsApp blog where they quoted, “ Recently there has been a lot of discussion about encrypted services and the work of law enforcement. While we recognize the important work of law enforcement in keeping people safe, efforts to weaken encryption risk exposing people’s information to abuse from cyber criminals, hackers, and rogue states.” The blog also reported that to make the users safer while chatting or sharing files with friends & families we’ve rolled out this update. With the end-to-end encryption, the data which you send to another person or a group can only be seen by you & the opposite contact. This cannot be hacked by any other person & not even by WhatsApp. This encryption is not only applied to text messages, but also for videos, pictures, voice & video calls, PDF files. 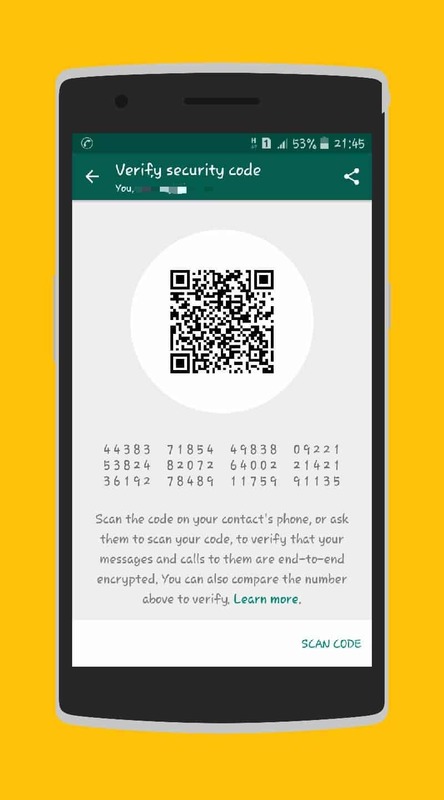 To turn on the encryption either you can scan security code on your contacts phone or ask them to scan yours’. You can also compare the numbers that are present below to the security code. 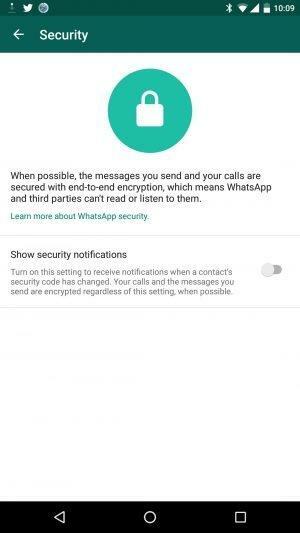 This procedure is same like how we access WhatsApp Web. After successful scanning, all your messages, videos, pictures etc are encrypted & can only be accessed solely by you & yourself & no other person. 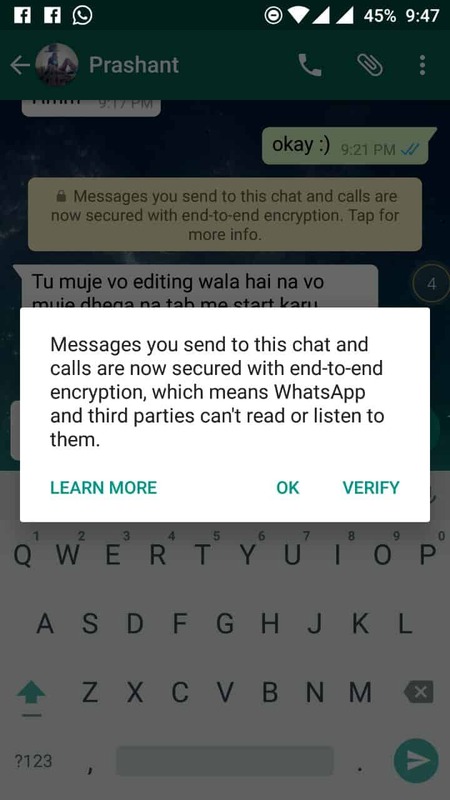 It is to be noted that WhatsApp is not the first end-to-end encrypted messenger, Telegraph & Kik messenger are already ahead of encryption, but with this update, WhatsApp messenger will become more secure & private than any other messenger.